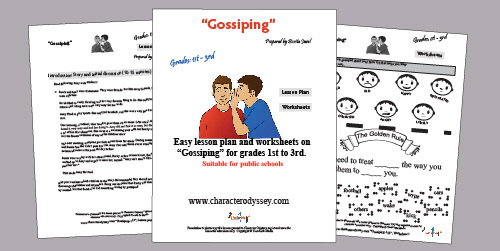 Character Education lesson plan on “Gossiping” for grades 1st to 3rd. Sarah and Amy were classmates. They were friends, but like many friends, theywere different. Sarah liked to study. Reading was her very favorite thing to do. She enjoyedschool and taking tests were very easy for her to do. Amy liked to play sports. She enjoyed baseball, and she was a very good swimmer. One morning, at school, their teacher gave them all an exam. Like usual, Sarah found it very easy and had fun doing it. Amy did not find it so easy, but she had a lot of fun that afternoon. She went to a swimming pool with her family and she was the fastest swimmer of any of the children there. The next morning, everyone got their scores from the exam. During recess, Amy told Sarah that she didn’t pass her test. Amy also told Sarah about winning all the swimming races at the pool the day before. This made Amy feel bad. Ask your students which children in the story did something they should not have done. Encourage discussion and responses. Bring out the point that Emily did something wrong by teasing, but that Sarah also did something wrong by gossiping. Step 1: Ask students for their definition of the word gossip. Definition: idle talk, not always true, about other people and their affairs. Simplified definition: to say something unkind or untrue about someone else when they are not around, also called talking behind someone’s back. Has anyone ever gossiped about you? How did that make you feel? Have you ever talked about someone else when they were not around? You can encourage the students to share any true stories of what has happened to them, if you so choose. Sometimes we don’t realize that what we say can hurt others or make then feel bad. Sometimes we say something because we want to seem smart, or cool, or because we want to sound like we know something important. Rule number one: if there is something you would not say to the person, then you should not say it about the person. Additional explanation of rule number one: If there is something that you wouldn’t actually say to the person, it isn’t fair to say it behind their back. Just ask yourself, “How would I feel if someone were saying these things about me?” If the answer is that you would feel bad, then you shouldn’t say it at all. Choose a student and you can be “talking” with them. 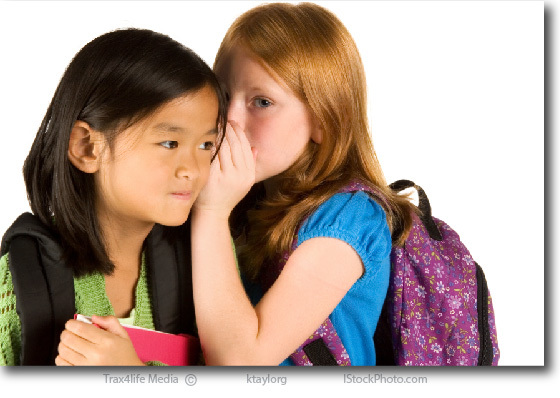 Have students call out “gossip” if the conversation is “gossip”. Choose another student and try again until students get the point of what gossip is. Rule number two: The other rule is so important that it is called “the golden rule”. It says that you need to treat others the way you want them to treat you. So if there was something you wouldn’t want someone to say about you, you wouldn’t say it about them. In the story, do you think that Amy’s friendship with Sarah was the same after that? Do you think that Amy told Sarah her score next time they took a test? Lead students to the realization that gossip hurts not only the person who was gossiped about; it also hurts the person who gossips. People realize that person can’t really be trusted, and they will not have many friends if people realize that they gossip. 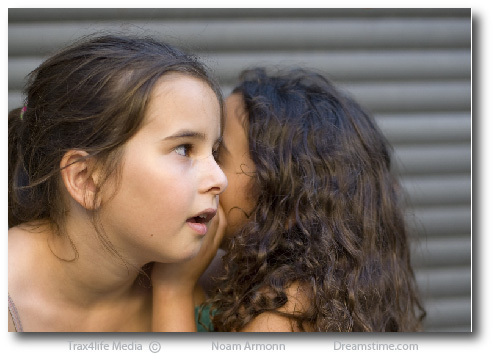 Ask children if they have ever played the game “Chinese whispers” [also called Grapevine, Broken Telephone, Whisper Down the Lane, or Gossip]. Organize the students in a circle if possible and play at least one round of the game. Write the first and last sentence on a whiteboard or find a way to draw attention to the fact that the message changes over time. Bring out the concept that gossiping has the same result: the message changes. When a person says something about someone, who then passes it on to someone else, who then passes it on to someone else, the story can change until it is very far from the truth. In that way, gossiping is like spreading lies about someone else. And this is when you need to remember the golden rule. If you would not want someone spreading those lies about you, you shouldn’t do it either. If you hear something about someone else and you feel it is important and something that you need to share with someone else, you can talk to a parent or teacher that you trust. If Emily had gone to Amy and said, “I heard you were a really fast swimmer,” how do you think Amy would have felt? Bring out the positive effects of saying something kind about someone rather than something unkind or selfish. When we make someone else feel good, we feel good too and it’s a game that everybody wins. Get this lesson plan, two worksheets and answer key. Have students write “gossip” on the top left of a paper and “not gossip” on the top right, creating two columns. 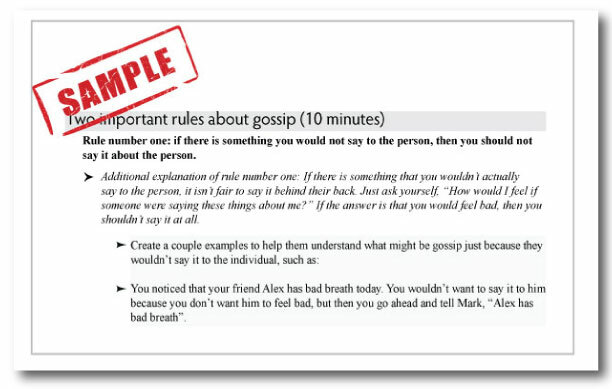 Read out scenarios and have students mark the scenario in the “gossip” or “not gossip” section depending on how they see the scenario. Scenario 1: Alicia is the new girl at school. She is rather quiet and hasn’t made any friends yet. When paired up with Tina for a school project, Alicia thought it would be a great opportunity to make a friend. As they worked on their science project together, Alicia told Tina that she is new to the city, having moved there with her mother after her parents got divorced. On the bus ride home, Tina tells her best friend, Carly, all that she could remember from her conversation with Alicia. Scenario 2: Steven was focused on his exam when he noticed Andrew, who sat in front of him, was moving around a lot. He looked more closely and noticed that Andrew kept looking at things written on his leg whenever the teacher wasn’t looking their way. Steven stayed a few moments after class so that he could tell the teacher what he had seen. Scenario 3: Annabelle enjoyed her ballet classes after school and had been taking ballet classes for a couple of years. Her classmate Sarah just began taking ballet classes too and joined in on the same class as Annabelle. Sarah was having a rough start, as she had never studied ballet before. It was difficult for her to manage a lot of the positions. Her teacher encouraged her that she was off to a good start and that it would take some time to learn the different motions. The next day at school, a few students walked up to Sarah, and said she danced like a monkey and shouldn’t embarrass herself any more. Annabelle was watching with a smile from the other side of the room. Scenario 4: Francis was walking home when he saw Angel half a block ahead of him. She held a big stack of books and he knew that her home was another four blocks away. He ran up and offered to help her carry the books home. Chris, Angel’s brother, opened the door when they got home and saw Francis give the books back to Angel. He didn’t say anything, but the next day at school, when Francis walked into his classroom, some kids started giggling or making kissing sounds. Go through scenarios again together, listening to students’ response as to whether it was gossip or not. 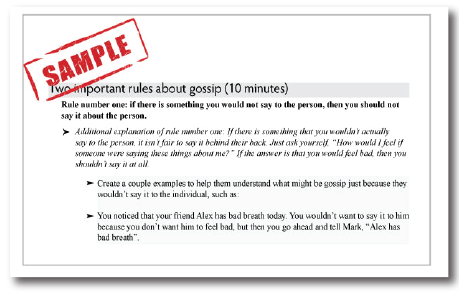 Helps students define what gossip is, and how things they might see as “okay” to talk about are in fact gossip. Also bring out the point that it might seem sharing information is okay, but it might end up hurting someone if the information is passed on to someone who might use it in an unkind manner. 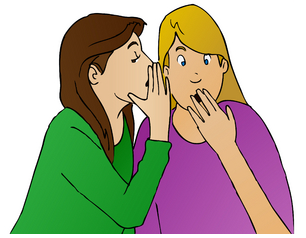 Let students call out their own synonyms or definitions to the word “gossip”. Write them down. Then read the following proper definitions and synonyms. The Expository Dictionary of Bible Words says: “A talebearer [is] one who rushes around telling stories. ‘Whisperer,’ or ‘babbler.’ The gossip whispers poisonous reports in someone’s ear in private that he or she would not dare to say in front of the person talked about.” The terms “false accuser,” “revealer of secrets” and “slanderer” are closely related … and show other aspects of gossiping. Roget’s Thesaurus lists more of the negative aspects of gossip. Insubstantial thing: hot air, idle talk, speculation, rumor, empty talk. Rumor: hearsay, talk of the town. Fable: claptrap, guff, bull, rumor. Speak: wag one’s tongue, rattle on, prattle, chatter. Defame: speak ill of, speak evil, badmouth, make scandal, talk about, backbite, talk behind one’s back. 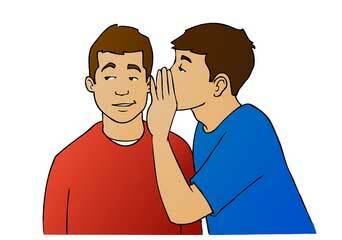 This is a variation of “Chinese whispers” [also called Grapevine, Broken Telephone, Whisper Down the Lane, or Gossip]. Organize students in a circle. Tell the first student a statement about yourself, such as “I went to a store yesterday”. Have the first student pass on that statement to the next student and either, 1) ask a question, 2) add another statement, or 3) subtract a statement. 1st student: Teacher went to the store yesterday. What store do you think he went to? 2nd student: Teacher went to a store yesterday. I think it was a store that sold alcohol. 3rd student: The teacher went to a liquor store last night! 4th student: Did you hear that our teacher buys liquor every night? 5th student: Our teacher is an alcoholic! He buys liquor every night. I wonder if he likes to party too? 6th student: Hey, I heard that our teacher is a partying alcoholic. He even got in trouble with the cops once. This game is to portray that they might hear something exciting or sensational from someone else, but it could very well be that facts have been added, taken away, or embellished until the story they have heard is a far cry from what really happened. If they spread the story further, there is even more chance that the story will grow into something that is very far from the truth. You noticed that your friend Alex has bad breath today. You wouldn’t want to say it to him because you don’t want him to feel bad, but then you go ahead and tell Mark, “Alex has bad breath”. Rule number two: “The golden rule”. It says that you need to treat others the way you want them to treat you. So if there was something you wouldn’t want someone to say about you, you wouldn’t say it about them. You were having relay races during P.E. You were teamed up with Felix for a three-legged race. You stumbled on a rock and tripped, which caused Felix to fall. After the race, you began saying to everyone how Felix was clumsy for falling, without mentioning the fact that you tripped, which caused him to stumble. Come back to the definitions and synonyms (above). Write them a whiteboard or blackboard. You can also use the definitions that the students came up with. 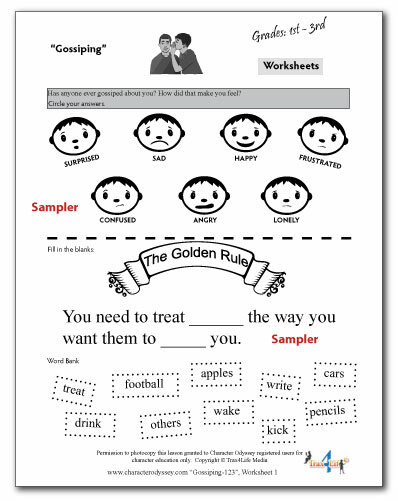 Divide students into small groups of three or four, and let them design a piece of work around the word they choose. Example: One group chooses “hot air”. They write a series of pictures likening gossip to a hot air balloon that gets more and more hot air until it floats into the sky where everyone can see it. Another group chooses “empty talk” and creates a skit manifesting empty talk, where people talk and talk but don’t say anything substantial. A third group chooses “spread rumors” and writes a short story or poem about the effects of spreading rumors. Get this lesson plan, three worksheets and answer key. 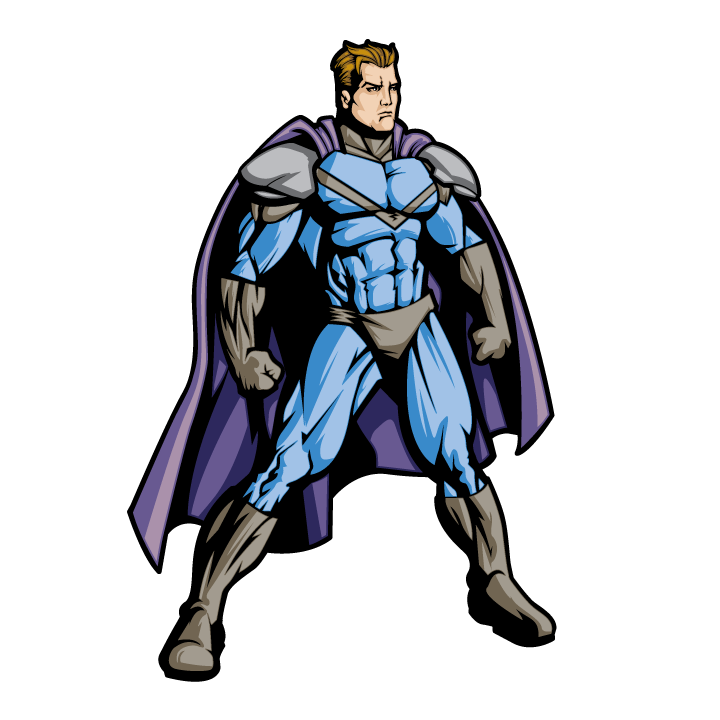 Character Traits - How To Become A Superhero! To be superhero, all you need is CHARACTER! You and I have heard lots on this world event in the past weeks. At the time I write this, few people know where this is leading us. 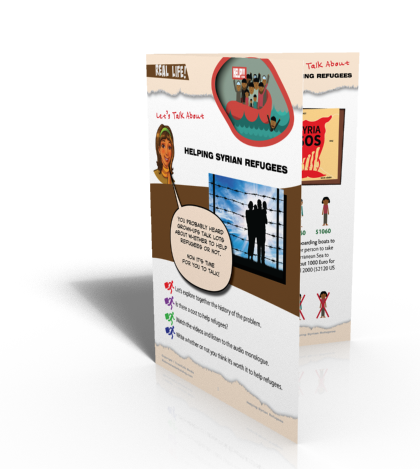 We have seen tons of news reports and opinion clips from politicians and citizens alike stating their position and concerns on Syrian refugees. No doubt, no matter where you sit on the issue, you have been overwhelmed with heartwarming human compassion and outraged by the position and actions of others. Now, it’s time for you to hear from our future leaders. I’m excited about a new feature I started on my website kidscharacterbuilding.com It is call “Real Life” under the audio adventure tab/menu in the kid section (home page). The first topic the kids can explore is that of a sincere apology. I used the real life example of Mr. Coburn, the part owner of the race horse California Chrome. California Chrome is an amazing horse that won the first two races of the most prestigious horse racing tournament; the Triple Crown. Where were you born? Where do you live now? Are there others who live around you, go to your school, or play on your soccer team who were born in a different country? They may look different than you, but maybe not. They may speak differently, but maybe not. Maybe you know someone who was born here, but their parents were born in a different country before moving here. An immigrant is someone who moves from the country where they were born to a new country. They may become a permanent resident of the new country, meaning they remain a citizen of their birth country but live in the new country permanently, or they may become a citizen of their new country, as if they had been born into the new country. 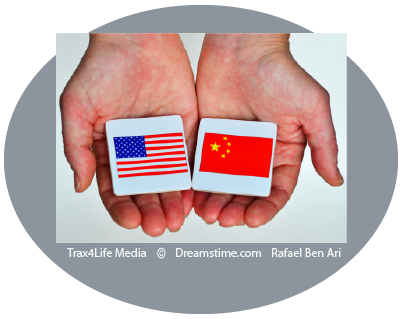 It is even possible for a person to hold dual citizenship, continuing to be a citizen of their birth country and becoming a citizen of the new country as well. Why would someone choose to move to another country? Lack of jobs or low wages: Some people choose to leave their country in the hopes of finding a better job in a new location. Depending on their skills or education levels, there may be too few jobs in one area, while another area may be looking for people to do those jobs. It is also possible that one country may pay less for the same job in another country, causing people to move to the country that pays more.